The nearby pub ‘The Joiners Arms’ has been recently refurbished, serves excellent food daily and is 5 minutes on foot. Venture a little further to Low Newton and experience a drink at ‘The Ship’ complete with micro brewery and wonderful views, an hour or two can be easy passed! 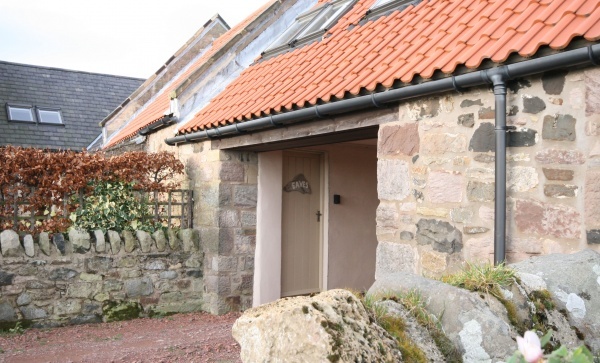 A little further a field is Alnwick, with historic castle and gardens (9 miles), Seahouses, a fishing village with boat trips to the famous Farne Islands (6 miles) and the must see Bamburgh Castle is with 8 miles of the property. Kitchen/dining area with dual electric hob, microwave and fridge. 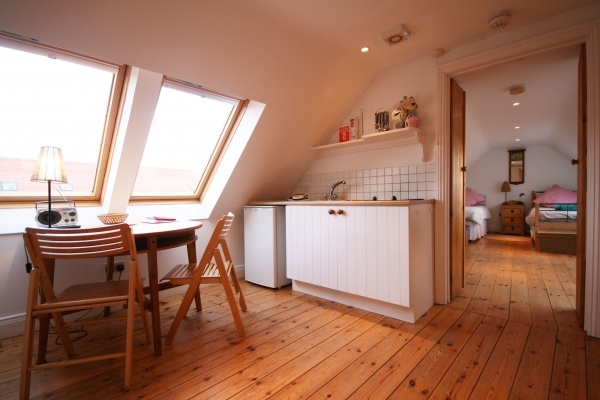 Open plan studio consisting of a Bedroom area with twin beds and seating area with TV and electric stove. 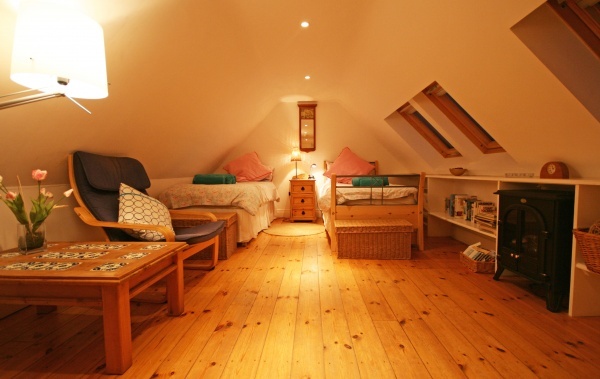 Wooden floor throughout. 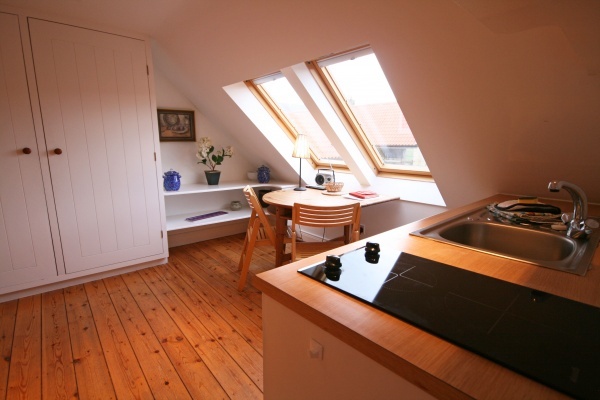 Electric hob, fridge, microwave, TV, electric fire, tea/coffee facilities.